Looking to buy or sell a home in Oakville? Unique Approach to Real Estate offered by Go-To Realtors, Hisey-McDermott team Will Help You Find Your Dream Home. Moneysense magazine’s popular “The 2018 Canada’s Best Places to Live” ranks Oakville, Ontario as Number 1. “The data-driven analysis pegs Oakville as not only the best place to live overall, but the best place for New Canadians, the third best place to retire and the fifth best place to raise a family. It’s certainly not the cheapest city in the country, but it has attracted a growing and increasingly diverse population because of its many strong points”, says Claire Brownell, columnist for Moneysense. Oakville’s Mayor, Rob Burton attributes the key to Oakville’s immense popularity is the fact that it has maintained a small-town sense of community – even as the city’s population breaks 200,000. “It is a city that calls itself a town and acts like a village,” he says. For those who are looking to move to the area and also those who presently live in Oakville and would like to take advantage of it’s popularity by selling and downsizing into some of the beautiful surrounding areas, the Hisey-McDermott team is one of the community’s go-to real estate teams. When asked the reason for their success, Heather Hisey states, “we both grew up in Oakville and still live in and love the area, so we know everything that is happening here in the community. We are also a member of two real estate boards, so we can effectively transition our Oakville clients into neighbouring communities. This way, they can take advantage of the equity in their homes and retire in financial comfort”. There is yet another reason for the success of the Hisey-McDermott team. 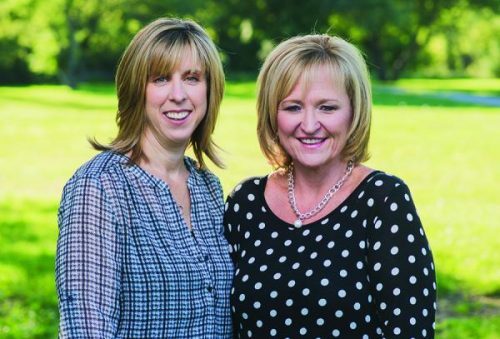 Heather and Lezlie offer a unique approach to real estate that blends caring advice with practical professionalism. “In our 57+ years of ­combined experience we have learned two important lessons to ensure success for our clients” says Lezlie. Number 1: Real Estate is a relational business. You must have good relationships not only with your clients but with ­fellow realtors in order to best serve. Number 2: ­Integrity. You have to be able to look at yourself in the mirror. We have been through the ups and downs of the market and being able to sustain and expand business speaks volumes.” “We’re here to work – for the best interests of our clients”, says Heather. If you are looking to move to Oakville, visit the website for current listings: www.Hisey-McDermott.ca. The Hisey-McDermott team are Sales ­Representatives with Royal LePage Realty Plus Oakville, Brokerage. The company is ­located at 1-67 Bronte Road, Oakville. The team is dedicated to helping you make the right real estate decisions. As Relocation Specialists they offer expertise to anyone wishing to move to the beautiful Town of Oakville and the surrounding areas. If you’re thinking of buying, selling – or simply want to know more about real estate in the GTA be sure to call 905.825.7777 Ext: 517 or email Homes@Hisey-McDermott.ca. www.Hisey-McDermott.ca.